You are here: Home / Co-Parenting / Organize Your Blended Family Life… with this Co-parenting Planner!! Organize Your Blended Family Life… with this Co-parenting Planner!! A couple of months ago as our family was doing our weekly switch off from Dad’s house to Mom’s, our schedules got mixed up. During the summer, our schedules change to give us all more time with K. The only thing that stays almost the same is guard weekends (K’s Dad is in the National Guard and works on base one weekend a month). But that week, we all forgot! K ended up at Mom’s house early, leaving us with extended time. But the real co-parenting win was how none of us got upset about it. K stayed at Mom’s house for more time that week, and spent extra time with Dad the next. No sweat! Knowing how far we’ve come in our co-parenting journey to where no one threw a fit or started a fight over something like that, really makes me thankful for what we have. But that time mix-up also got me motivated. While I love having all the extra time with K I can get, any kind of schedule mix up can throw any Mom off. Every parent has crazy schedules these days, having to juggle not just their own to-do lists but ones for their children (and husbands and pets) as well. And it’s important for organized Moms (and wanna-be organized Moms like me!) to have the tools they need to keep things straight. And that’s exactly why I created the Busy Mama Co-Parenting Planner. Sounds cheesy, but it’s seriously changing my life. Juggling 3 jobs and 2 kids is extremely difficult when you don’t have your ducks in a row. Getting it all written down in my own planner has seriously put things into perspective for me. I also believe co-parenting (whether successful or not) puts a lot more stress on a family especially if you’re not well organized! Which is why I created… the mother of all planners! 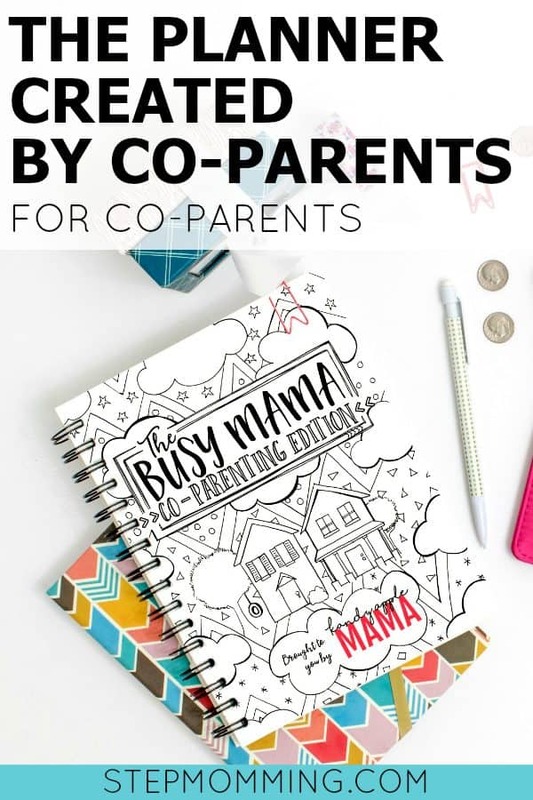 The Busy Mama Co-Parenting Planner is a planner and coloring book all rolled into one. But, it comes with several new pages and additions designed to help you keep track of everything from custody arrangements to special holiday schedules, from co-parent contact information to goals you have for your co-parenting relationship, and more! With this planner designed specifically with co-parents in mind, you’ll be able to track and organize blended family life like never before. GET ORGANIZED – keep track of you and your family’s schedules, activities, special tasks, custody schedules, and more – using both monthly calendars and weekly calendars! Plus, all the additional co-parenting schedule pages! ACHIEVE YOUR GOALS – set not only monthly life goals but also co-parenting goals! DE-STRESS AND GET CREATIVE – use the included coloring pages and doodles to relax and de-stress on the too-few breaks you have as a parent! STAY MOTIVATED – keep track of your goal progress and hold yourself accountable! SPECIAL FEATURES – use all of the additional pages to keep track of everything from gift lists to reading bucket lists, from passwords to medical information, and so. much. more! As a family we have a tendency to swap weekends and work around each other’s special events to make sure K gets to be part of (almost) everything we do. But these changes and compromises were difficult to keep track of before we started using our co-parenting planners. Now, we’re able to color coordinate all of our calendars according to which house K is staying at. Long weekends with her are easier to keep track of with the Custody at a Glance page, and special holiday plans are just a page turn away. I’ve never felt so on top of things as I do right now with my Busy Mama Co-Parenting Planner. Kristen and I are both so excited about this co-parenting planner. It’s already helped us, and we can’t wait to help other co-parents balance their blended family life, too! Order yours in the Stepmomming Shop! I hope you enjoy the new co-parenting planner as much as we do! 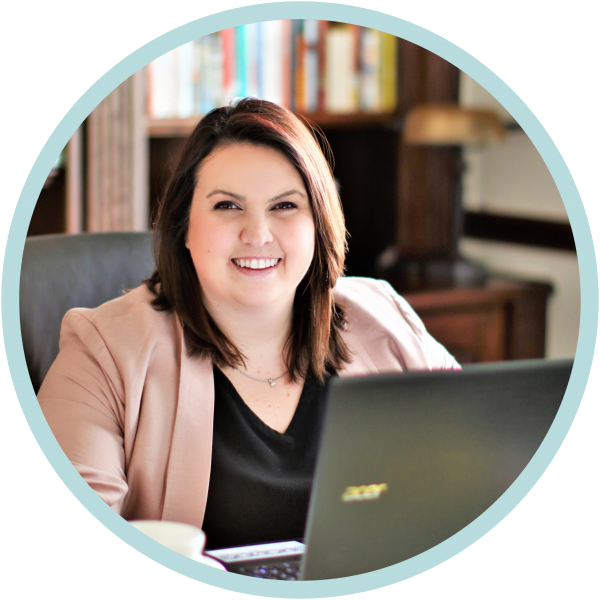 PS: Struggling with the move from the school year custody agreement? These are our top tips for a seamless transition to the summer custody schedule.